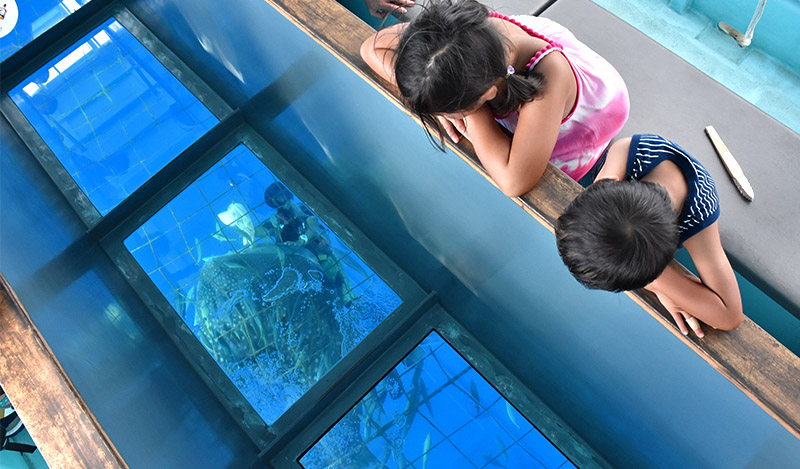 Board a glass bottom boat and get a close look inside the sea. Whale shark seen from close up is awesome. This tour can be enjoyed by wide range of age groups, from small children to the aged. *Service may not be provided depending on the weather conditions. Thank you for your understanding in advance. Children aged 11 or younger need to be accompanied by guardians. Children between 12 and 19 years old need consent from guardians.